NATURE LOVERS DREAM! 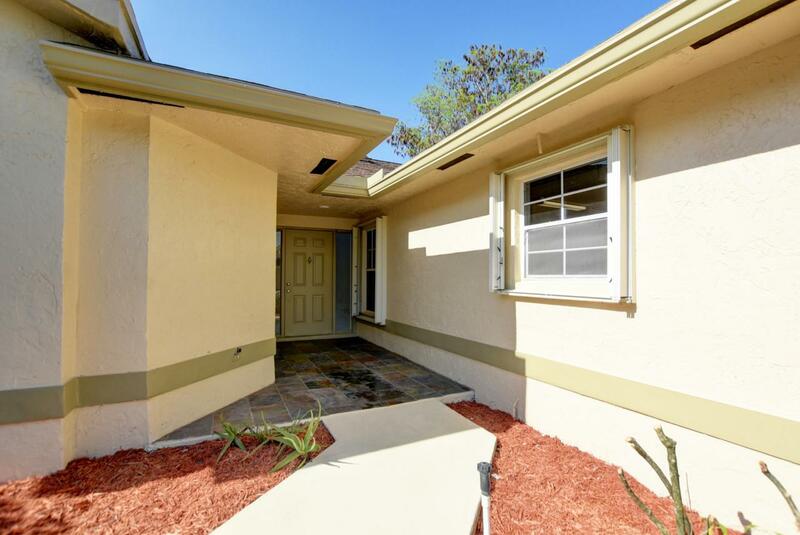 Designer renovated 3 bedroom, 2 bath, 2 car garage with largest lot in Fox Hollow with room for pool/hot tub. Volume ceiling in living room. Light exposure and skylights. All brand new LG Appliances, White Modern Cabinets, crystal Quartz countertops, Master Bathroom and 2nd bathroom with fine finishing touches. Shower and bath frameless glass. AC high efficiency 2 cooling stages, approx 5 years. Modern fans and lighting throughout. KitchenAid Washer/Dryer in garage. Accordian Shutters. Slate front entranceway. 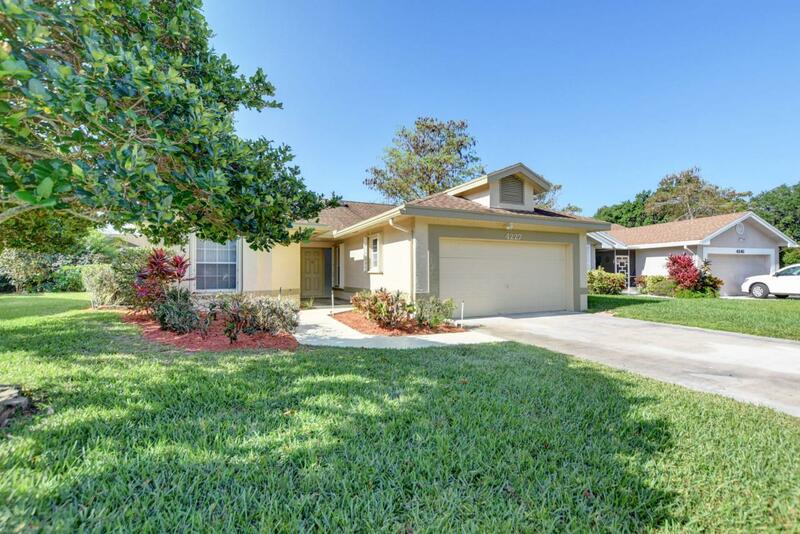 Clubhouse offers large pool, picnic areas, billiards, lounge, library. 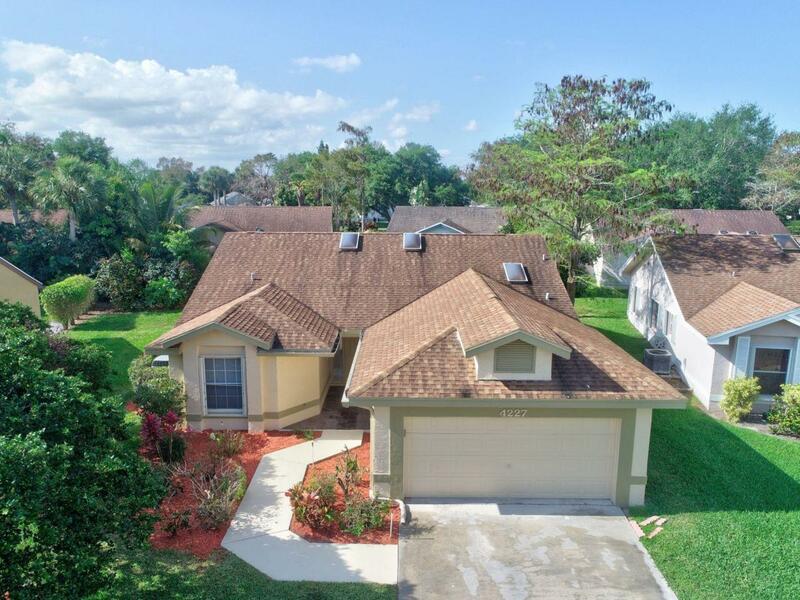 Electronic Gated community in desirable Boynton Beach near Magnet Schools. 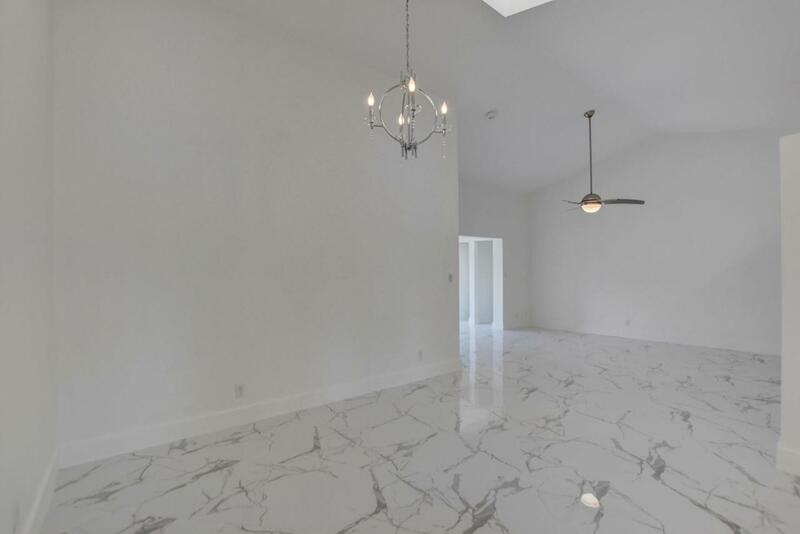 As if the house isn't special enough, Fox Hollow has unique natural surroundModern baseboards, freshly painted, brand new grey carpeting, white and grey marble-like tiling. Roof approx. 11 years old. Almost new 50-gallon water heater.